This day-long boot camp will cover all aspects of the Real Estate Assessment Center inspection process and explain how REAC scores a property through the inspection process. The federal government measures housing quality, and property owners, property managers and maintenance staff must know how to navigate the rules. AudioSolutionz and Assisted Housing Alert, divisions of audio conference and corporate education leader ProEdTech, will host the live webinar “REAC Inspection Training Boot Camp” with industry veteran Hank Vanderbeek on Thursday, September 21 at 11:30 am ET. This five-and-a-half-hour boot camp will provide detailed insight on important aspects of the REAC inspection process. The Uniform Physical Condition Standards dictate how the federal government measures housing quality, and property owners, property managers and maintenance staff must know how to navigate the rules. The Real Estate Assessment Center (REAC) levies substantial penalties for violations. Compliance means understanding the REAC inspection process and knowing how to prevent high point-site defects, which property owners and managers need to identify, prioritize and tackle. This session with public housing expert Hank Vanderbeek covers both broad topics and detailed points to reveal mistakes and misunderstandings in the inspection process. He will share his expertise on training, how to handle failed inspections, the paperwork needed for inspections, details on fire protection, and which defects are cited the most. A dozen case studies will be presented. 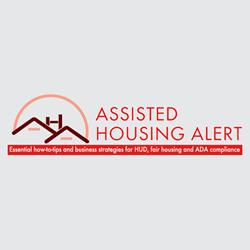 For more information and to register, visit: https://www.assistedhousingalert.org/virtual-bootcamp/reac-inspection/.